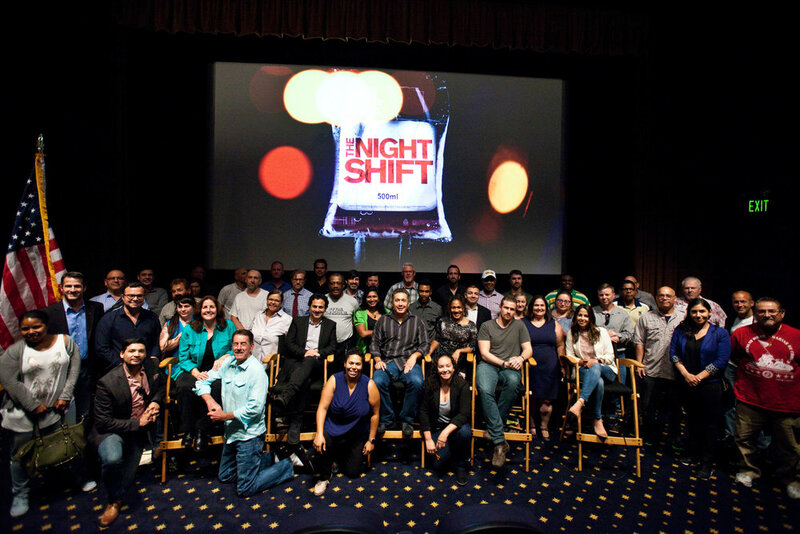 NBC Entertainment and Sony Pictures Television invited VME to an evening with the creators, writer, and guest stars of the special episode of The Night Shift entitled Keep The Faith, on August 8th, 2017 at Universal Studios in Los Angeles, California. The evening featured a powerful veteran's storyline and many veterans in front of the camera and behind and included a Screening, Panel Discussion, and Light Dessert Reception. The panel included Creators and Executive Producers Jeff Judah and Gabe Sachs, Writer Brian Anthony, guest stars of the show, and moderator Karen Kraft, Chair, Board of Directors, Veterans in Film & Television. The episode told the story where San Antonio Memorial has a busy night full of veteran patients in need. When protestors descend on a funeral for a dear member of the night shift family, multiple veterans are injured and brought to San Antonio Memorial for treatment. A high-profile politician from Drew's past triggers flashbacks to his time in Iraq. Jordan, Scott, and TC disagree on how to best provide care for the politician. Paul and Shannon must improvise while tending to Doug, a former POW. Cain and Drew treat a fearless photographer. Veteran cast and crew credited in Keep the Faith are Director Timothy Busfield (Navy), Writer Brian Anthony (Army), Dan Lauria (Marines), Josh Kelly (Army Ranger), Wes Chatham (Navy), Yvonne Valadez (Army), J.W. Cortes (Marines), Ryan Ahem (Army), Conrad Padilla (Army), Matthew Metzler (Navy &Army), Manda Emery (US Coast Guard), Denver Johnson (Air Force), Rob Tode (Air Force), Michael Sare (Navy), and Rosa Estrada (Army).